I guess I should reiterate that this is a high level overview and there is no particular significance to the order. However, I'd recommend starting with Strategy, which at its most basic is defining what you want to do, understanding if it is really feasible, and figuring out how you're going to go about it. In case you're wondering, obvious stuff like setting up your company/enterprise, planning, competitor/stakeholder analysis, marketing and communications etc. fall in as sub-categories in different areas, and I'll explain more about these when I get to them. Meantime for anyone thinking of setting something up, my advice is consider the implications of each of these categories to check for any major red flags before you gamble anything serious. 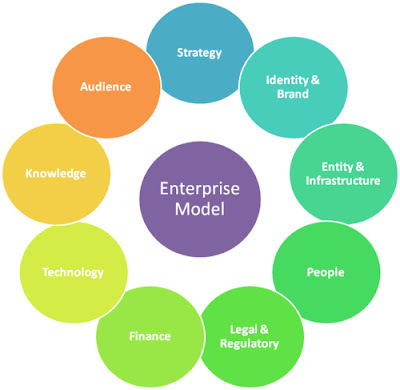 If you're not confident about any one of these areas, and don't know anyone who can help you understand a bit more about what they mean for your enterprise, think very carefully before committing.